"We're thrilled to add Niagara University and its great athletic tradition to our growing family of partner schools," said Mike Palisi, VWSE Executive Vice President. "Together with Simon Gray and his team, VWSE is committed to helping elevate the Athletic Department to new and prosperous heights, as well as create diverse opportunities for businesses from around the region to partner with such an incredible and respected University." 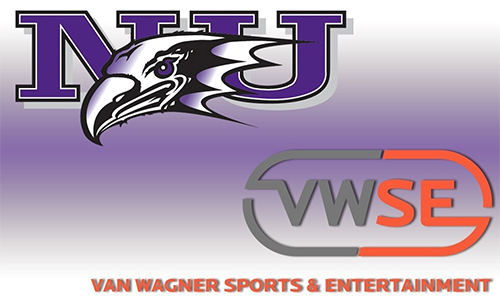 NEW YORK and NIAGARA UNIV., N.Y. – Van Wagner Sports & Entertainment (VWSE) today announced that the Niagara University Department of Athletics has selected the company's Collegiate Services Division to manage the department's multimedia and corporate sponsorships rights. Beginning with the 2016-17 athletic season, the VWSE Collegiate Services team will oversee the locally based operation – "Niagara Athletics Sponsorships" – and will be dedicated to management of the corporate sponsorship program including multimedia resources, the Purple Eagles' local broadcast and digital assets, venue signage, on-site marketing and promotions, promotional rights to athletic marks and hospitality opportunities. "Purple Eagles Athletics welcomes Van Wagner Sports & Entertainment to Western New York. Van Wagner will be a prolific partner and represent our department in a positive and productive manner in the corporate community," said Simon Gray, Niagara University Director of Athletics. "We have always valued our corporate partners and appreciate their investment in our success. This new relationship will strengthen our commitment to being an engaged member of our community." Van Wagner Sports and Entertainment LLC is a subsidiary of Van Wagner Group LLC. It is a global leader in marketing, communication and sponsorship sales. It is a known innovator in consultancy and is a leading brand worldwide in marketing rights. VWSE works with more than 300 professional and university teams around the world.